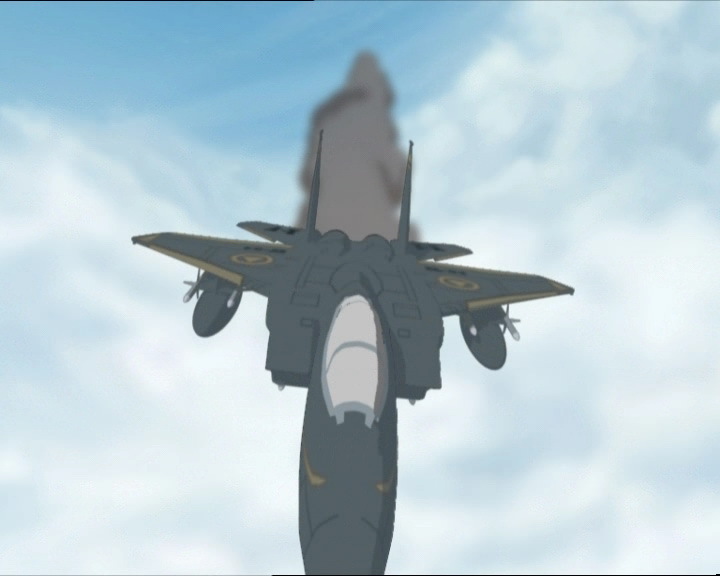 Thanks to Odd, Jeremy wins a ride in the back of a jet fighter, but the prize seems not to please the youth whatsoever. What can he do in a fighter plane if Xana attacks? Afraid of appearing chicken, he still shows up at the Naval Air Station to claim his prize. But while Jeremy, already strapped in the cockpit for a promotional photo shoot, tries to cancel his flight, Xana takes control of the jet fighter—armed to the teeth with missiles—sets Jeremy on an attack run for… the factory! The boy doesn’t seem very enthused, however, urged by Odd, he decides to go, entrusting the Superscan to Aelita. At Kadic, all seems normal. Odd even offers the dog food to Jim, pretending it’s homemade pâté… Jim takes and enjoys it. But at that moment, the Superscan sounds: XANA is attackins! 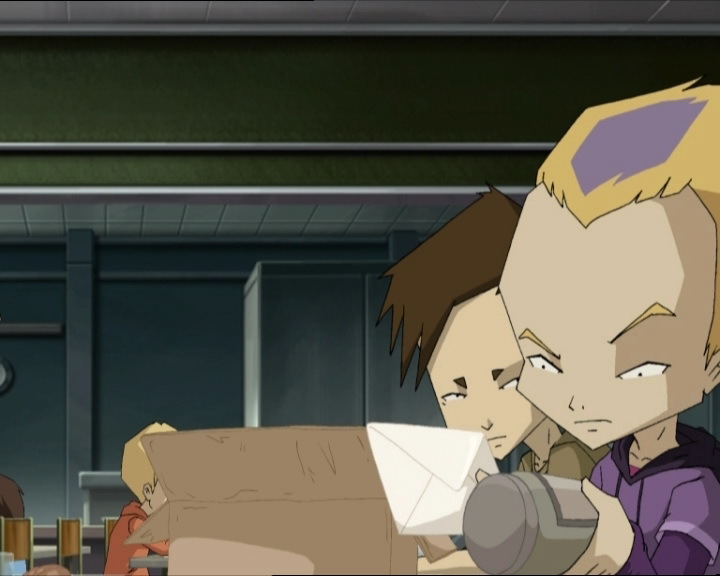 Aelita warns the three other Lyoko Warriors! 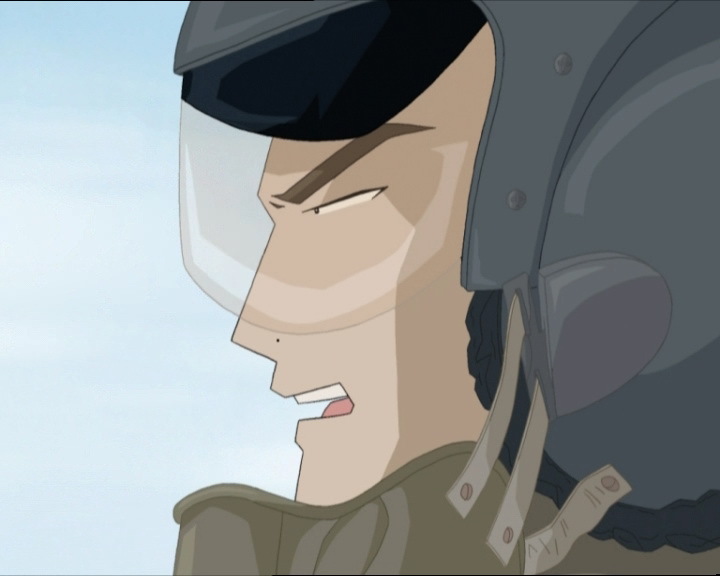 Jeremy warns his friends about the danger and communicates the plane’s position and trajectory to Aelita. 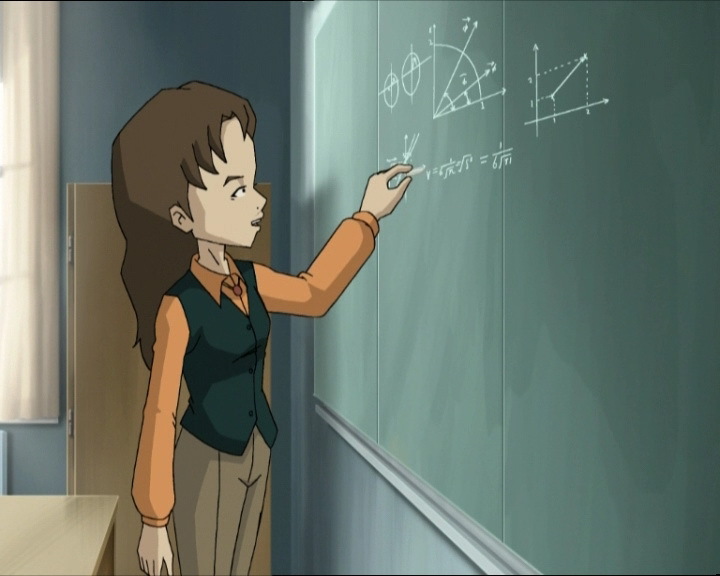 Aelita does some checks, which reveal that the missiles the plane is carrying are destined to reduce the factory to rubble! 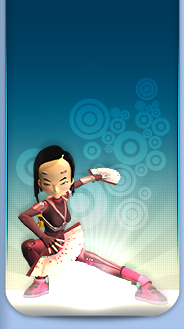 The Lyoko Warriors dive in! 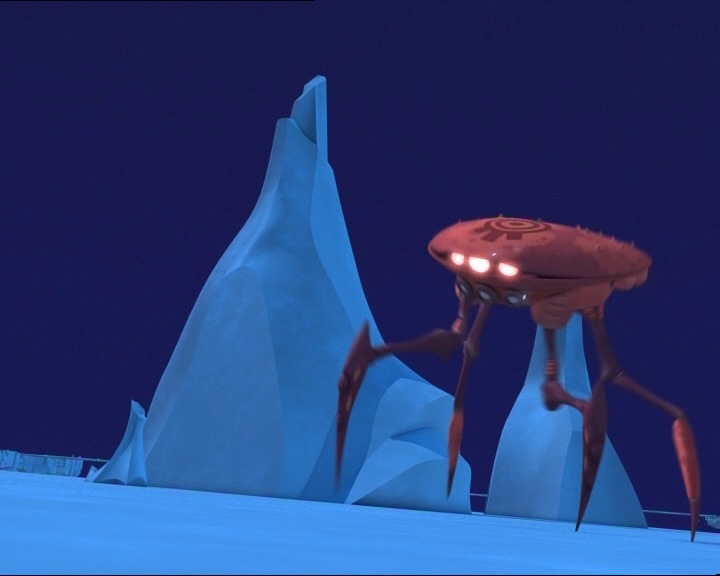 Yumi, Ulrich and Odd easily get rid of the two Krabes guarding the tower in the Ice Sector. But three others take their place. It’s three against three, leaving Aelita to sneak towards the tower! 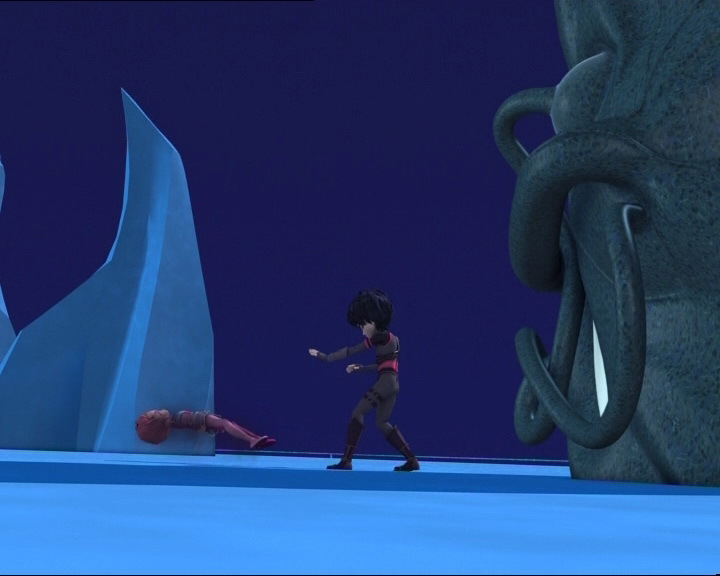 If only… Behind her, William’s black smoke appears and the XANA Warrior materialises behind Aelita! She is surprised, sent flying into the void and deploys her wings! William throws himself into the void, grabbing onto Aelita’s foot, he tries to drag her into the Digital Sea! What follows is an absolutely hilarious scene in which Jeremy kicks William’s face before using her energy fields to finish the job! Then she wings it to the tower! William then takes his gaseous form and follows Aelita like a rocket! 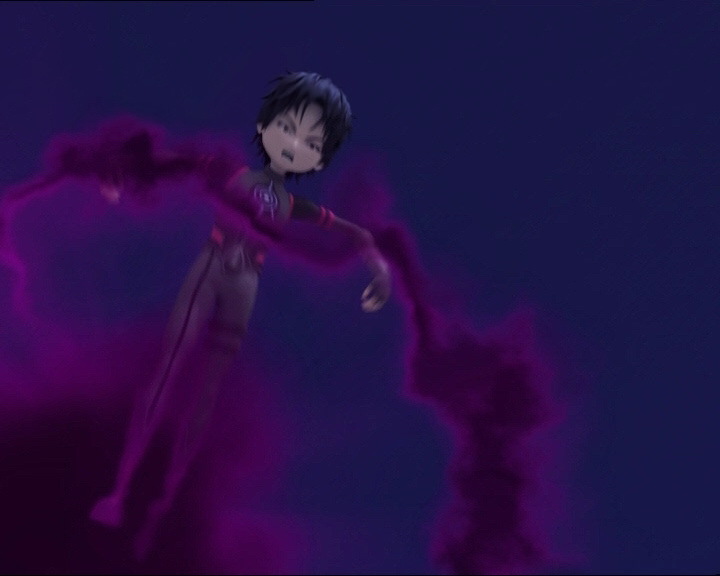 He gets between her and the tower and knocks her out with a blast of smoke… Then under control of the smoke, he slowly brings her towards the Digital Sea… It’s time for the Lyoko Warriors to react! Odd takes care of his Krabe and charges at William! High in the sky, the pilot wakes but is incapable of ejecting himself and Jeremy from the crazy plane… The military base declares the Tango contingency: the plane will be destroyed in mid-air in order to avoid a catastrophe… Jeremy tries to buy time, the missile is armed! Odd fires his laser arrows! William deflects them with his metal wrist guard… Odd is devirtualised by his own weapon! In the sky, the plane fires its guided missile at the factory! Jeremy’s plan then starts to descend towards the ground, the other aeroplanes chasing the missile to intercept it! - Attack: Take control of a jet aeroplane to trap Jeremy inside and take his life by crashing the plane. The main objective is to destroy the factory with a missile from the plane. - Return to the past to prevent the plane from crashing and stop the missile. - Return of Tamiya’s old outfit. - Second time Yumi launches the return to the past. - Jim likes the dog food Odd’s parents sent him! 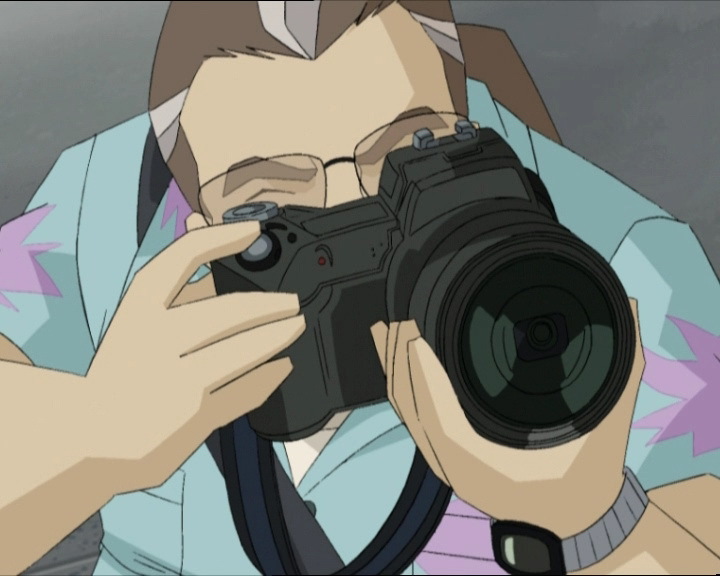 - Ulrich wears his sport outfit in four shots in the cafeteria. - Jeremy’s glasses change before the photographer takes the first photo. - The handle on Odd and Ulrich’s door is on the left instead of the right and the door is dark blue instead of grey. - Aelita’s outfit is reversed when William goes to throw her into the Digital Sea. - Jeremy says he’s 13 when he talks to Air Traffic Control, but he’s 14. - The microphones and oxygen masks on the helmets Jeremy and the pilot wear change position nonstop in the plane (sometimes to the left, sometimes to the right). - Final appearance of Ms Meyer. - First mention of the Tango contingency. - Reappearance of Ulrich’s comic from episodes 66 “William Returns” and 67 “Double Take”. - New use of bullet time as seen in episode 70 “Skidbladnir” when Ulrich is fighting William. 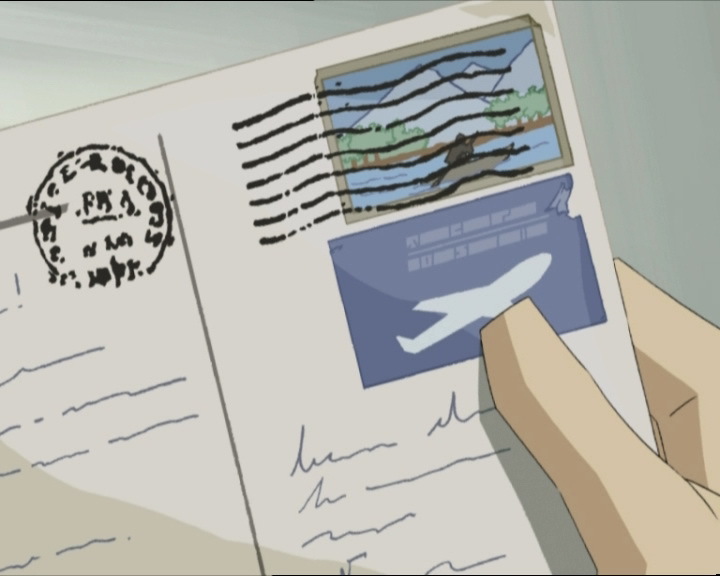 - The GPS co-ordinates Jeremy gives to Aelita while on the plane are: N 47, 43, 13, E 01, 34, 45 heading north-north east bearing 042! - This episode was first aired during an event organised by Moonscoop in Paris on the 5th of July 2007: an advance screening of season 4. - In one of the shots of the aircraft, we can spot the Place de la Concorde in Paris, a major public square. - The plane Jeremy flies in is probably inspired by e F-15E Strike Eagle, which is a modified F-15D. Jim: Finally this is for Odd Della Robbia, last of course, like he is in everything! Odd: Well it’s about time! I was wondering how long my parents would forget their favourite son. And I’ll bet it’s packed with lots of goodies! But don’t worry, as you know, I’m very generous by nature. (he opens the box) Huh? I wonder what’s inside… Is that all there is? Dog food and nothing else at all?! Ulrich: Makes you wonder who their real son is, you or Kiwi! Jeremy: Check this out, I won first prize in a contest from Cosmos, Future and Formula magazine! Ulrich: Oh yeah? What’s your prize? 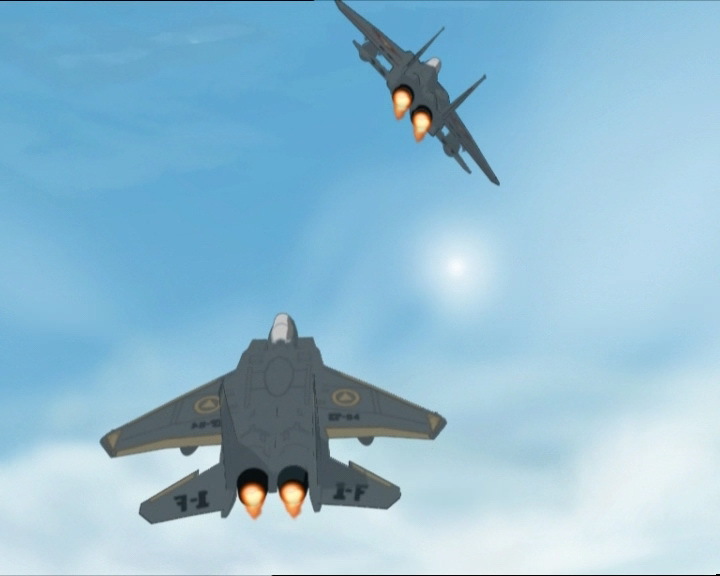 Jeremy: An aerial invitation in a jet fighter with a live fixed-target air-to-ground strike missile exercise. And it’s for today too! Jeremy: Yeah, but the problem is, I don’t remember entering the contest…you think this could be XANA’s doing? Odd: Admit it, you’re freaking out! You’re totally scared! Jeremy: No, you’re wrong! For your information, I’d love to go! Odd: You’re gonna get the ride of your life! 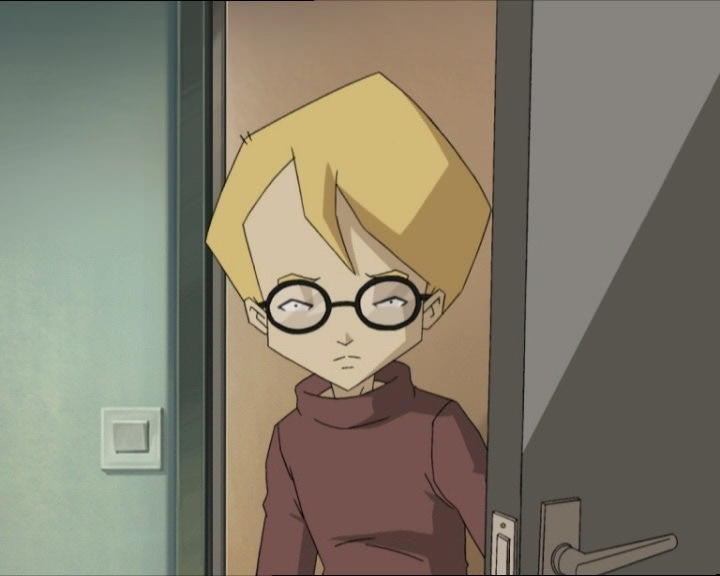 Jeremy: Hey, what are you up to, huh Aelita? Aelita: Nothing! I wanna know who wrote the card! Jeremy: You think it was us who sent it? Come on Aelita, wake up! Look at the postmark, it’s Canada, not Kadic Academy! Aelita: You’re right, it’s a real mystery. Greg: Ah hey there, kid. Well, you ready to get your thrills? Jeremy: There’s just…one little thing I’d rather you left out! Greg: Hm, oh yeah? What’s that? Jeremy: Listen to me, I’m really scared of planes, but I didn’t wanna chicken out in front of my friends. So all you have to do is shoot a few pictures of me in the cockpit, that way your readers will be happy, your magazine will save some money, and my friends will be convinced that I actually flew in the jet! Man: Hm…yeah, well why not? Odd: Waaaah! That stinks! No normal dog would ever eat this stuff! Ulrich: Who ever said that your dog was normal, Odd? Jim: Well I couldn’t do that, Della Robbia, your mum made it for you! Jim: Thanks, Della Robbia! Pâté’s my pet’s…uh, my favourite food! Heh! Guess I lucked out on that one! Greg: But what’s gotten into him? Jeremy: What are you trying to do? I told you we’re not supposed to take off! Greg: I know that, but I’m not the one in control! Jeremy: No, no…don’t do that! Greg: Nothing to worry about son, we’ll be landing soon and everything’ll be back to normal! Jeremy: You don’t understand! XANA will never let you manipulate the onboard computer! Greg: XANA? What’s that, a name? Listen kid, this isn’t some kind of science fiction show, it’s the real thing! Yumi: I got here as soon as I could! Ulrich: Great, you’re right on time. Now Aelita can send the three of us to Lyoko! Jeremy: What’s the Tango contingency? Greg: In order to avoid a total disaster, they’re gonna shoot us out of the air. Aelita: There’s the tower, it looks pretty quiet to me. A bit too quiet, even! Ulrich: You’re right, Aelita! Without Einstein and his radar it’s not going to be as easy as usual! Aelita: XANA’s trying to delay us, guys. Yumi: Ulrich, Odd, all three of us at once. We have to force our way through! XANA-William: I’ve been expecting you! Jeremy: Tell me it’s not true, sir! They-they can’t just shoot us down! Greg: That’s the safety procedure, kid. But don’t worry about it, we’ll eject first. Jeremy: Wh-what makes you think I was worried, lieutenant? Greg: No reason to be! Everything will go just fine as long as you do exactly what I tell you to dd. First of all, put your oxygen mask on. In front of you there’s a dark red handle, do you see it? Jeremy: Yeah, I got it! Greg: I’ll start counting, and on three we’ll hit it together, our seats will be expelled and we’ll eject. Once we’re clear, the parachutes will open automatically. Are you ready? Jeremy (eyes closed): Let’s go! Greg: Charlie Foxtrot 41 to Control! Unable to eject! Jeremy: XANA is holding us prisoner! Greg: Don’t forget that we’ve got a civilian on board, a child. Only, I repeat, only execute procedure as a last resort! Over and out! Jeremy: It’s ok! He’s leaving! Greg: No, he’s just pulling behind us to get a better line of fire to shoot us down. Pilot in other plane: Control tower, this is Delta Bravo 89! The missile’s going too fast, I can’t lock it in! Yumi: Return to the past now! Aelita: It reminded me that I’m not alone in the world, that someone cares about me. Jim: Belpois! I’ve been looking for Della Robbia for hours now, have you seen him?! Jeremy: Uh, no…what has he done? Jim: Nothing at all. I was just wondering if he had any more of that homemade pâté left! Jeremy: Sorry about that Jim, but Odd took off. He had to catch a plane! Odd: You’ll go nice and easy, right? I’m not scared or anything, only…WAAAAAAAAAAAAAAAAHHHHH! LET ME OUTTA HEEEEERE!